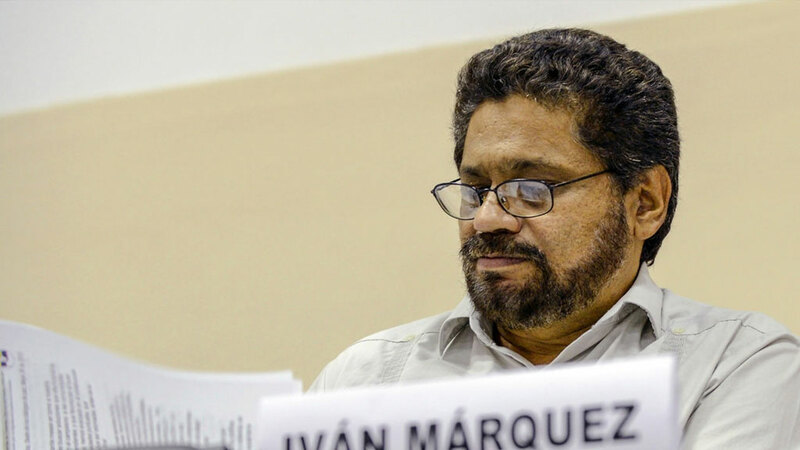 FARC guerrillas will not go to prison and will not give up their weapons in the event of a peace deal, Ivan Marquez, the rebels’ chief negotiator in Cuba said in a television interview on Sunday. “For the guerrillas there will be zero jail time. No peace process in the world has ended with leaders of the insurgency behind bars,” said the member of the FARC delegation Ivan Marquez. The FARC and the Colombian government are currently negotiating the end of 50 years of conflict and have reached the point where agreement is needed on how to prosecute crimes committed by both parties during the conflict. While amnesty is common in peace accords, the FARC’s claim that not one guerrilla will go to jail is highly controversial in Colombia as the group is accused of thousands of human rights violations. The country’s opposition, under the leadership of former President Alvaro Uribe, has been vocal in rejecting any kind of impunity. The FARC have consistently rejected the possibility to go to prison. Another controversial demand of the guerrillas has been that they insist on not surrendering their weapons before transforming the guerrilla movement to a non-violent political movement. “The surrendering of the weapons is out of the question. However as part of the peace deal, we will refrain from the use of weapons in politics,” said the rebel chief. Peace talks between the FARC and the Colombian government have been ongoing since 2012 and have so far resulted in partial agreements on drug trafficking, rural reform and political participation of the guerrillas and other leftist actors. If the warring parties reach agreement on victim compensation and the end of conflict, a deal marking the end of 50 years of internal armed conflict would be signed.